You don't need sprawling acreage to grow produce. There's always a crop for even the most space-challenged home. 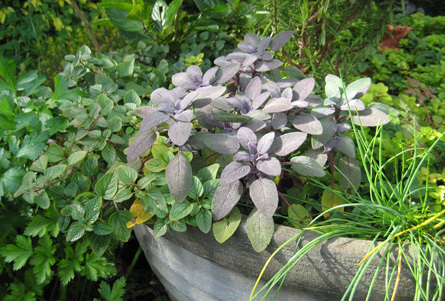 Like most other plants, herbs can be cultivated in a pot. Of course, your harvest can be limited by the pot's size so match your crop of choice with a container that will hold enough nutrient and water for that plant to reach maturity. Save space with built-in planters that also incorporate bench seating. Planter boxes on wheels can be rolled out of the way during parties. Or just convert an old wheelbarrow. A bumper harvest - whether on a large or small scale - is not a low maintenance project and depends on rich, well-drained soil and plenty of sun and water. Although small spaces are often enclosed by sun-blocking walls, you'll need a location with about 4-6 hours of direct sunlight per day during the growing season. 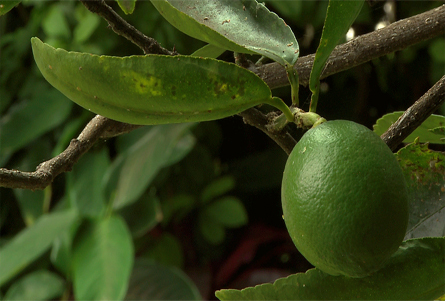 Otherwise your edible plants will produce less flowers, fruit and leaves for harvest. Food production is one business where you can't be stingy or inattentive about water. Fruit and vegetables - especially those with resources limited by a container - can need watering twice on hot summer days. Move mobile containers out of the sun on those hottest afternoons. Also protect the crop from drying winds. On balconies exposed to strong wind and sun - and with smaller pots that dry out quickly - stick to tough Mediterranean herbs. Remember plants under cover might have more shelter but won't get the benefit of natural rainfall. 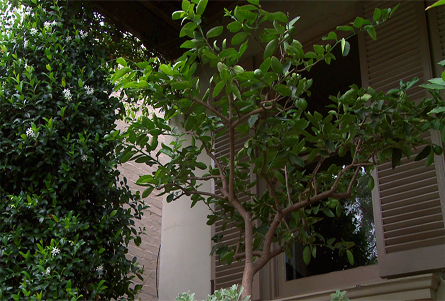 Many edibles are showy and can be integrated into ornamental plantings. Long-lived varieties and those producing repeat harvests won't suddenly leave holes in the display after cropping. 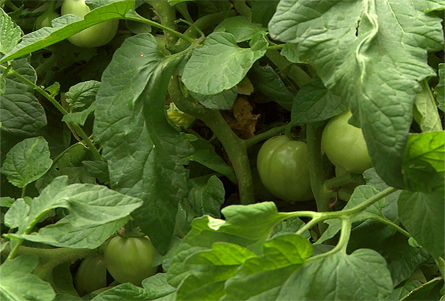 Dwarf varieties of vegetables like beans and tomatoes are suited to smaller gardens. Though initially more expensive, fruit trees grafted onto dwarf rootstock or with more than one fruit grafted onto the one tree make a good space saving investment. Use vertical features such as posts, railings and walls with trellis to support climbing vines. It might not mean the end of trips to the greengrocer but even small gardens can produce the occasional treat of your own home-grown brand. Instead of watering automatically on set days, a rain gauge will tell whether nature has already provided enough water for the week.